Will Britain fall for your awesome pet this autumn? Send us your happy healthy pet photo and you could win a prize! 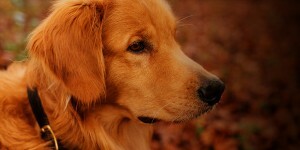 As part of its mission to encourage owners to seek expert advice on pet healthcare, NOAH is launching its new photo competition through the www.pethealthinfo.org.uk website. The competition will celebrate pets enjoying the changing season – from braving the mists and early frosts to playing in the leaves or taking a well-earned cosy nap. Pet owners up and down the country are being encouraged to celebrate the importance of pet wellbeing and the vital role that caring for your pet no matter what the season, plays by sharing autumn-themed photos of their pets. Whatever type of pet and whatever their favourite seasonal pastime, NOAH and guest judge Amateur Photographer magazine want to see your pet pics! One lucky winner will receive a £125 voucher for pet treats and supplies. Through the act of snapping and sharing a photograph of their pets, NOAH hopes to highlight the importance of keeping pets happy and healthy all year round and paying close attention to their seasonal healthcare needs. Entries uploaded by Sunday, November 6th, will be eligible to win a £125 voucher for pet supplies and treats (terms and conditions apply). Entrants must ensure they click the pink competition tick-box to enter when uploading their photos.